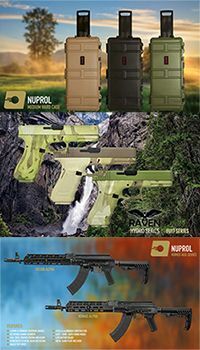 IMI Defense is an Israeli developer and manufacturer of polymer holsters, tactical accessories and training equipment currently in use with Israeli Military and Law Enforcement as well as other foreign agencies. The rugged design offers simplicity and safety in a holster that holds your sidearm extremely close to the body to prevent snagging on obstacles, foliage and other gear. 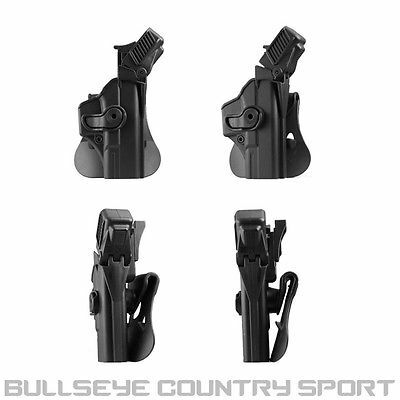 The one piece holsters for model 17/19 and other G models are offered in one piece designs ensuring that the likelihood of breakage is minimal to none, while a tension screw allows you to adjust the friction of the holster. An aggressive 15 degree forward cant mirrors that of United States FBI style for a responsive quick draw position. 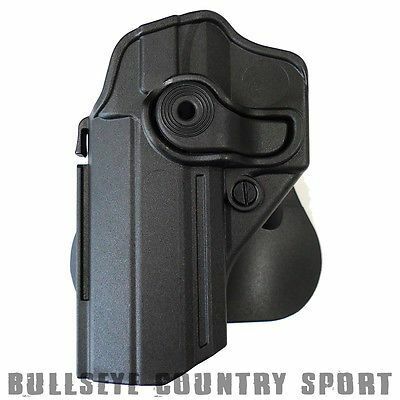 Other models of holsters are locking holsters for real world duty and come with a trigger guard lock that can be released with a firm press of the trigger finger, it is placed in a position so on a draw, the finger is already placed in the 'ready' position.